An embargo is a press release that will be published in the future, so you can share it privately through the draft URL. 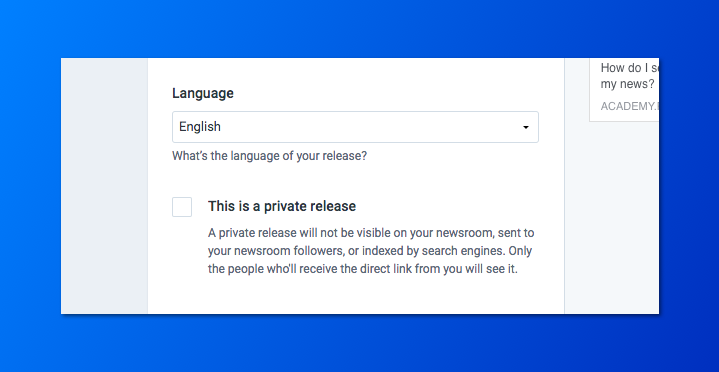 A private release is simply a press release that does not show up in your pressroom, however you can still see it online by directly visiting the release link. How do I set an embargo? If you're working on an exclusive, you should set an embargo: set the release date to a time in the future, then confirm the campaign. it will automatically be under embargo until that time. Learn more about how to set an embargo. How do I backdate a news release?